Friday, March 1st 6:30-9:00pm & Saturday, March 2nd 9:30am-4:30pm. We will pause to seek a deeper relationship with Christ & identify the obstacles that are standing in the way of the life Jesus intended for you. Join us for 8 short talks with moments of reflection to learn & practice how to hear from God. There is no cost for this workshop. Lunch will be provided on Saturday. Please listen to the 4 sessions of Mark Battersons “Whisper” on Right Now Media before the conference. If you don’t have a Right Now Media account, please fill out the information here. 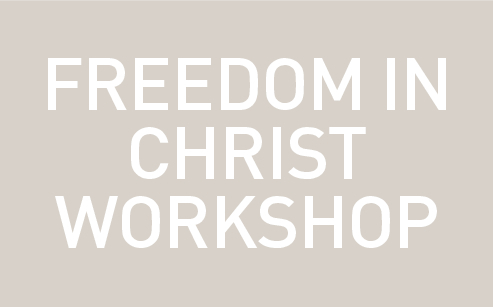 Register for the Freedom in Christ Workshop.